the JOURNAL and the MONOGRAFIE series. Both projects stem from the initiative of scholars at the Institute of European Culture, a Gniezno branch of the Adam Mickiewicz University in Poznań. The Institute’s inherent premise is interdisciplinarity, and the research conducted there is concerned with broadly understood European culture, without chronological constraints and no limitations with regard to the themes addressed. Still, they may be reduced to a common denominator: the conviction that in its incredible diversity, and despite the multicultural aspect, European culture fully yields to a definition. It is in Gniezno, the first capital of Poland, that such scholarly orientation finds its symbolic motivation. After all, German emperor Otto III, and Bolesław the Valiant, the king of Poland, met nowhere else but here, in Gniezno, at the shrine of St. Adalbert, the patron of United Europe. The were guided by the idea of common Europe, rooted in the culture of antiquity and the achievements of Christianity, which nevertheless respected what the “barbarian world” had to offer. 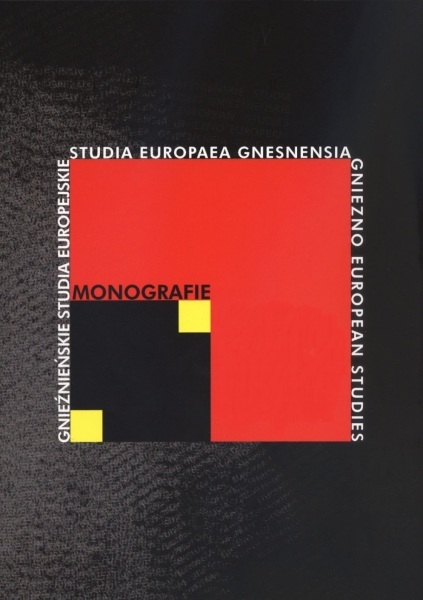 The MONOGRAFIE series of the Gniezno European Studies will afford a platform for the reflection on historical heritage, the spiritual condition of today’s Europe and on the transformations in contemporary European culture.